JunkAClunker.com is one of the nations top Junk Car Removal services. We offer fast and free removal of any Junk or Unwanted Car, Truck, SUV or Van throughout the entire United States. Our knowledgable and experienced Tow Operators can quickly and easily remove all types of vehicles in all types of situations. It does not matter if the vehicle is Running or Not. It does not matter if the vehicle is in a Driveway, Backyard, Parking Lot or an Alley, our Tow Operators can remove the vehicle. We always offer Cash For Junk Cars and include FREE Junk Car Towing so there are never any Hidden Fees! JunkAClunker.com can offer you more value for any junk car than a tax deduction from any car donation charities. In the past you were allowed to deduct the full book value of your automobile but the IRS has recently changed the federal laws pertaining to vehicle donations. These new tax deductions are now limited to a standard $500 deduction no matter what your vehicle is worth. If you do not ITEMIZE your deductions when you file your taxes, this new standard deduction will be USELESS to you. If you have a junk vehicle and want INSTANT CASH IN YOUR HAND, JunkAClunker.com is the simplest and most profitable way to have it removed. Complete our simple online Cash Quote Form and we will start the removal process of your junk vehicle today! Our Tow Operators are standing by and will remove your junk vehicle quickly, easily and with no-hassles! What kind of vehicle would you like to sell? JunkAClunker is one of the most reliable junk car buyers in the state of Alabama. 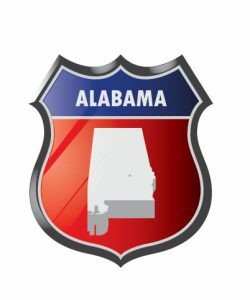 We buy cars within a wide range of conditions and a large majority of the Alabama vehicles we have made offers for do not start or drive. Many of the vehicles also had some type of body damage. The most popular areas that we paid cash for cars were Birmingham, Mobile and Montgomery.